Heat shock protein 27 antibody recognizes heat shock protein beta-1, also known as 28 kDa heat shock protein, HSP 27, epididymis secretory protein Li 102, estrogen-regulated 24 kDa protein, heat shock protein beta-1 or stress-responsive protein 27. Mouse anti Human heat shock protein 27 antibody recognizes heat shock protein 27, also known as heat shock protein beta-1, 28 kDa heat shock protein, HSP 27, epididymis secretory protein Li 102, estrogen-regulated 24 kDa protein, heat shock 27 kDa protein, heat shock 27kD protein 1, heat shock protein beta-1 and stress-responsive protein 27. Encoded by HSPB1 gene, heat shock protein 27 is induced by environmental stress and developmental changes. The encoded protein is involved in stress resistance and actin organization and translocates from the cytoplasm to the nucleus upon stress induction. Defects in HSPB1 are a cause of Charcot-Marie-Tooth disease type 2F (CMT2F) and distal hereditary motor neuropathy (dHMN) (provided by RefSeq, Oct 2008). 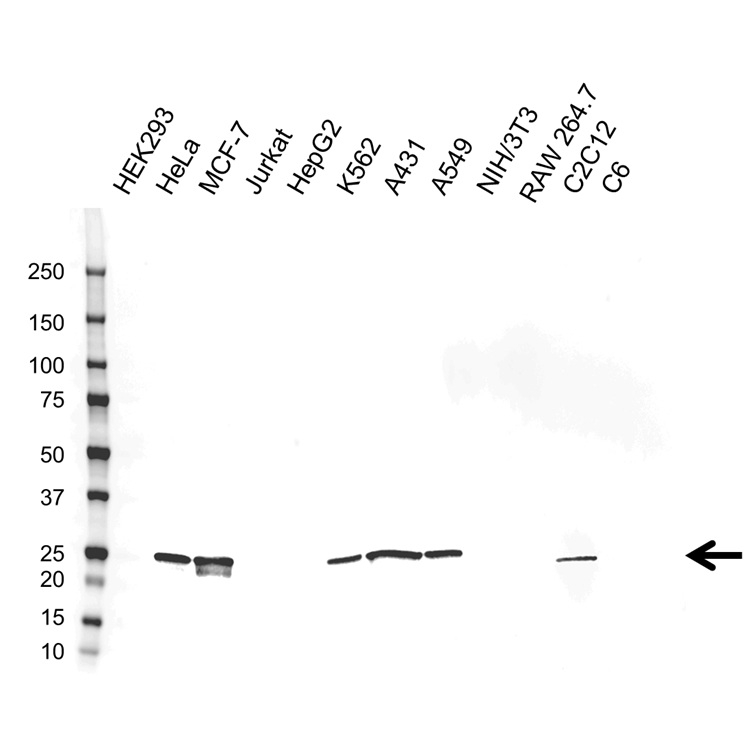 Mouse anti Human heat shock protein 27 antibody detects a band of 27 kDa. The antibody has been extensively validated for western blotting using whole cell lysates.